Our good friend, Chuck Voigt, brought us an assortment of squash he'd grown in his Illinois garden some time back. 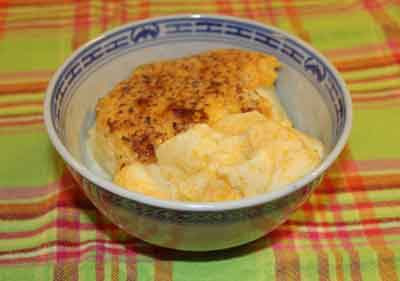 We've enjoyed some of them baked, but recently Josh has been making one of my favorite desserts - Squash Custard. I asked him to share his recipe here. You can use butternut, acorn or delicata - any small, winter squash. Josh begins by splitting the squash in half, removing the seeds, then putting the squash in a baking dish with about 2 cups of water, covers it with foil, then bakes it until it's soft. He uses about half of the squash, peeled and mashed for the recipe. 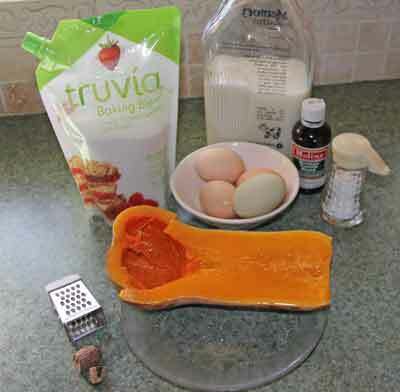 We cook with Truvia, the stevia-sugar blend instead of regular sugar to cut down on calories and sugar. It tastes the same but better for diabetics and anyone watching their calories. Mixing the scalded milk into the other ingredients. 1 - Scald milk in the microwave, using a glass quart measure (approx. 4 to 5 minutes). 2 - While the milk is heating, beat together well: eggs, squash, salt, vanilla and sugar. 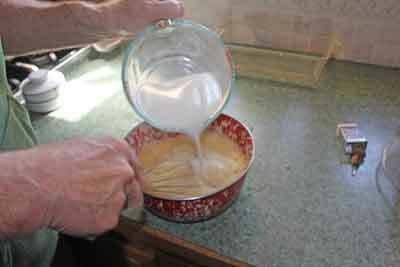 3 - Briskly whisk in scalded milk, to maintain a good froth. 4 - Pour mixture into a baking dish or glass bread pan and top with plenty of freshly ground nutmeg. 5 - Place the baking dish in a shallow pan of hot water and bake 45 minutes at 350 degrees F., or until a knife comes out clean when inserted in the middle. Tips: Custard puddings are very forgiving. You can bake an hour at 325 or half an hour at 375 degrees F.
The frothy mixture topped with ground nutmeg is what gives custard puddings the golden skin we custard lovers adore. 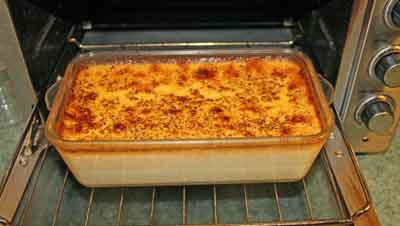 The finished custard, tasty hot or cold! And a dish of perfect squash custard! 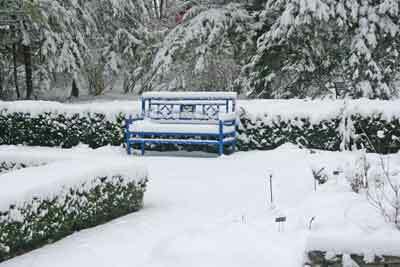 Snow and sleet cover the garden today. Jonquils and crocus that were in early bloom yesterday are hidden under the frozen crust. Since it's too cold and miserable to be outdoors, I'm working on some of my upcoming programs for spring. 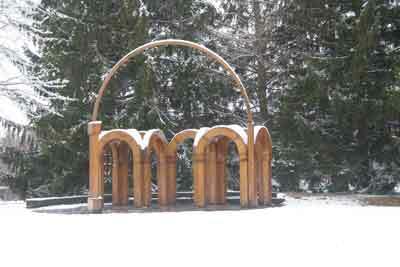 The photos that follow are winter photos from my Art in the Garden program. 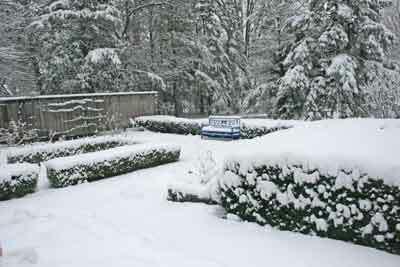 It's easier to see the form and design of a garden in winter. The gray day with snow makes the world seem almost black and white, except for that one blue form in the center. 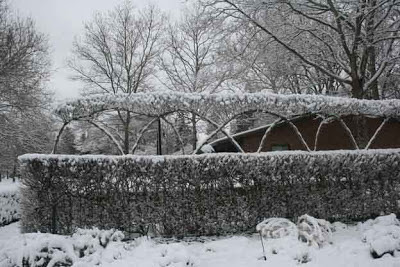 The hedge and the loops overhead, with the topknots, are all continuous hedge. The blue bench looks across the way at the hedge, above. While it looks like 2 different structures, the hedge is trimmed flat on top with limbs above in arches, and atop those, a fringe of smaller branches and leaves. 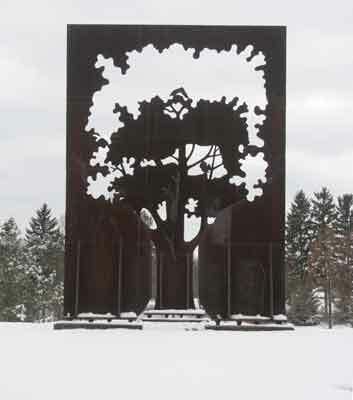 Sculpture at Toledo Botanic Garden. Espaliered fruit trees on a wall. 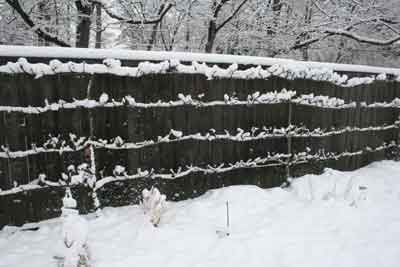 The flowing lines along the wall of the espaliered fruit trees are more visible when dusted with snow. In summer you see the wall behind, the green leaves and a bit of the trunks of the trees, but it's in winter when the scene is simplified to just the shapes and lines. Too much winter, too much black and white, while interesting from a point of design, always leaves me yearning for green, for color, for a warmer season. 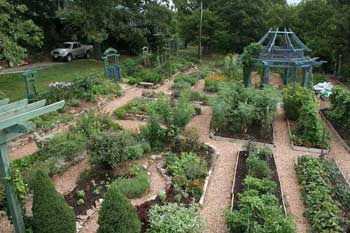 The garden is more than lines of design, there must be fun in the garden, inspiration, color, too. And gardens shouldn't be too serious. 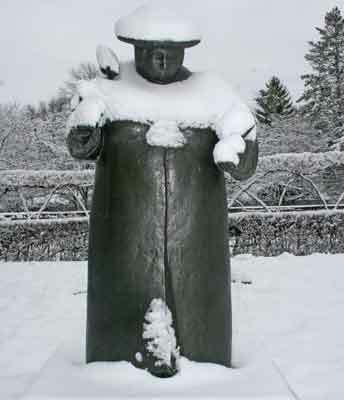 The snow will melt, flowers will once again appear and the garden will come to life with an entirely new season. 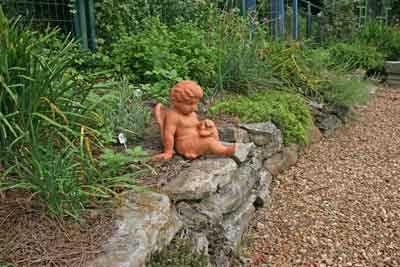 Wood Chips, are they good for your garden? Wood chips are in abundant supply. From road crews and electric companies grinding up trees and limbs, it’s easy and tempting to use chipped wood in the garden. But if you choose to use wood chips, there are some cautions about how you do it. Wood chips do an excellent job of blocking out sunlight, preventing weeds and holding in moisture. However, as the chips decompose and break down, they rob large amounts of nitrogen from the soil and can weaken or damage your plants. 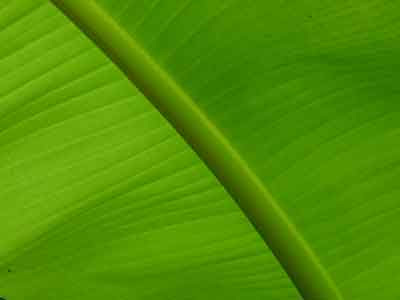 Additionally, some kinds of wood chips can damage the plants in other ways. You can’t always tell what kind of wood has been chipped, and if there’s walnut or cedar mixed in the chip pile, both of those contain natural growth retarding chemicals. (That’s why you don’t see weeds growing under cedar trees, for example). The bigger issue, though, is the nitrogen robbing that fresh wood chips cause. It’s part of the decomposition process for the wood breaking down, but as a mulch, fresh wood chips are not good for garden plants. 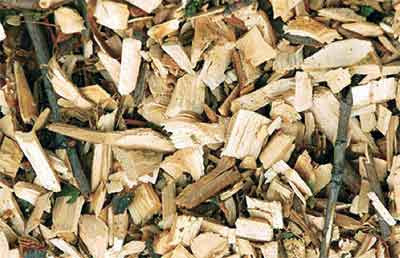 A safer method for using wood chips is to let them compost for at least a year before applying them to the garden. 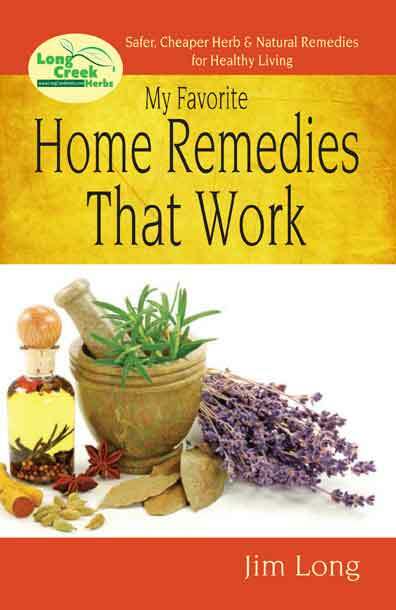 Two years is even better as that allows for any cedar oils or walnut oil (known as juglone) to leach out of the wood. Then you can apply the rotted wood chips as a mulch or soil additive and not be in danger of robbing the nitrogen the plants need. Much of the soil in my garden has been created from, or with, wood chips. My method 30 years ago was to haul in piles of fresh wood chips and spread them in pathways in my garden. The chips would remain there for 2 years, then I would till up the rotted chips, mix them with well-composted manure and build new raised beds. (In the photo above, I now use gravel in my pathways since I'm not wanting to create more new soil). If you do choose to use wood chips around your shrubs, berries or vegetables, use chips that are at least a year or two old. Mix them, half and half, with composted horse, chicken or cow manure, as long as the manure has been composted at least a year, also. That will add some nitrogen but in levels safe enough for your garden plants. Wood chips can be an excellent source for building new soil for beds. If mixed with manure and left to rot for 18 - 24 months, then tilled into existing soil, it can help the soil hold moisture and add fertility. Just be aware that if you use freshly chopped wood chips on the garden, you are likely to have weakened plants, slow growth, lots of fungal problems in the mulch and possibly even dead plants. Always use caution when using fresh wood chips around plants. 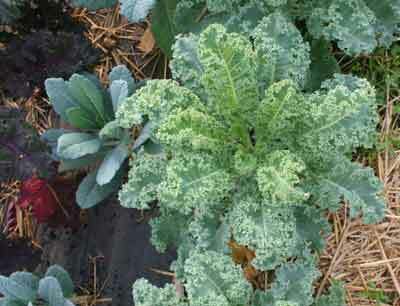 Three varieties of kale in my garden. I think my ancestors didn't come from the part of the world where kale was grown. It's not a plant that I have been genetically attracted to and it has taken me decades to actually like this plant. But like any kind of conversion, once it happens, you dive in head first. 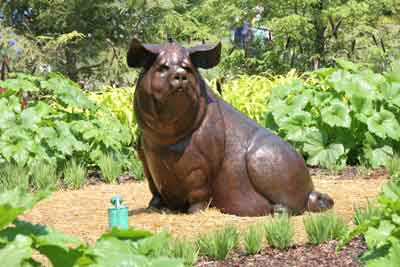 Part of my conversion I can attribute to one of our garden interns a few years back. He loved kale and planted multiple beds of it in our garden for his farmers market booth. While he was with us, he taught me about fermented-pickled kale salad. It was simple, chop up a double handful of kale, sprinkle it with tamari (soy sauce), a bit of vinegar and salt, a few chopped garlic cloves, then let it stand unrefrigerated to wilt for 24 hours, then refrigerate it for a couple of days. I think he also added sesame seeds. It was good although I've not been able to duplicate his recipe exactly. 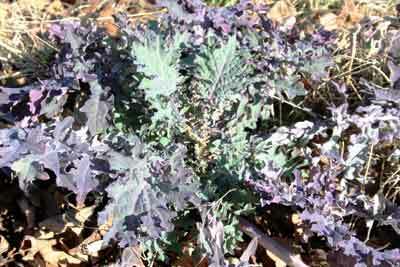 Then I learned how to make kale soup from Jim and Robbins Hail at Bear Creek Farm (look for my article about their organic operation in the upcoming issue of The Heirloom Gardener magazine). This past weekend I attended the Midwest Organic Association conference in Springfield, MO. The hotel used local organic food and one dish in particular caught my fancy. It was a kale casserole. Sounds boring, doesn't it? I can assure you it wasn't. I could have eaten a whole plate full, which inspired me to try and create the recipe at home. 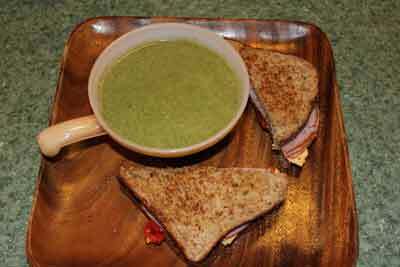 (If you want the kale soup recipe, click here. )Below are my results. 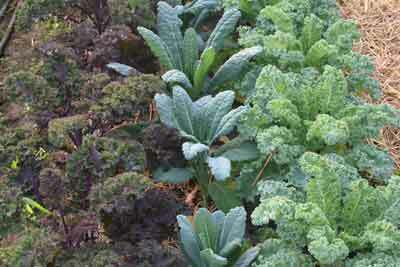 1 - Bring a pot of water to boiling and add the cut-up kale leaves and sliced carrots. Simmer for about 2 minutes or until kale has wilted. Drain, reserving about 1 cup of the water. 2 - Cover the bottom of a casserole dish with the squash, onions and garlic. Add the drained kale and carrots. 3 - Mix the condensed chicken soup with the 1 cup reserved water and the teaspoon of hot sauce and pour it over the ingredients, mixing it into the kale slightly. Top with shredded cheddar cheese and bake for 20 minutes. 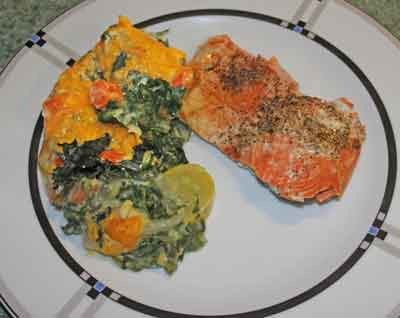 We had the kale casserole with baked salmon for supper last night. 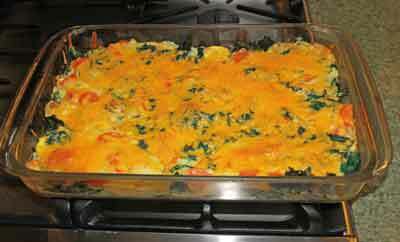 I'm convinced that even people who don't like kale, will like this casserole. Because it's mostly vegetables, it's low in fat, low in calories and yet has a lot of flavor. I hope you will like it, too! Congratulations to the contest winners of Renee's seed collections - Jessica Sclatzer, Yvonne Jenkin and Christine Erickson! All except Yvonne Jenkin have claimed their prizes. If you are Yvonne, please go to the previous blog post and look in the Comments section for how to claim your prize. 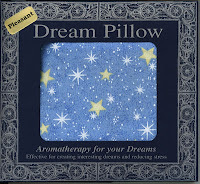 I first learned about Dream Pillows from a pharmacist, back in the 1980s. I was suffering from depression, the result of my ex-wife having abducted my 4 and 5 year old daughters. Not only was I having severe depression, but awful nightmares. Nothing I tried was helping me locate my children (I finally did, 30 years later). My pharmacist friend, Jerry Stamps, suggested I try a dream pillow to help me sleep. He said that without decent sleep, I couldn't make the decisions I needed to make in my searching efforts. Back then I didn't have a clue what a Dream Pillow was. He mixed up a mixture of flowers and herbs and put them in a little 2 x 5 inch bag and instructed me to put it under my pillowcase. I begin to notice results after the second night and soon my nightly nightmares had subsided. Than launched me on years of research into why fragrances effect dreams. 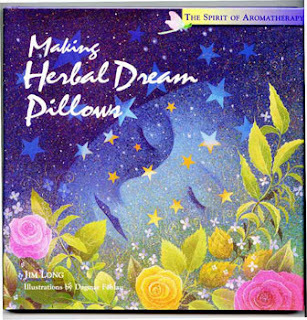 The book, Making Herbal Dream Pillows, $14.95, was the result of some of my research, and it includes several of my formulas for Dream Pillows. 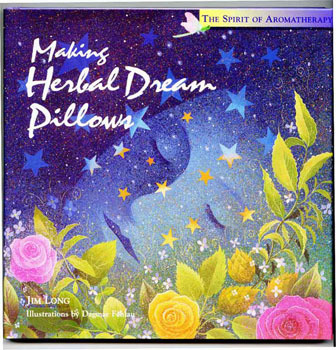 I created the Pleasant Dream Pillow that gives pleasant dreams, with herbs to help one remember their dreams. (I call this one a generic good-dreams pillow). Pleasant Dreams pillow, click here. The Restful Sleep pillow is the formula my pharmacist first prescribed for me almost 30 years ago. 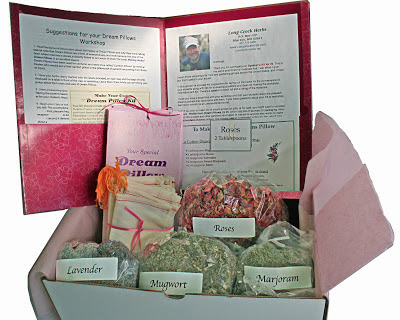 The herbs are all soothing and restful, with nothing to cause you to remember your dream. Romantic Dreams Pillow, is another of my creations. Women enjoy this one but men seem to have little response. 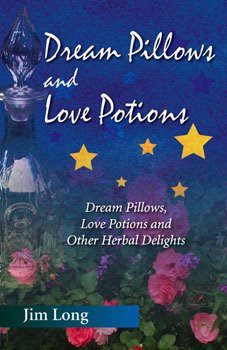 My first book, that caused Storey Publishing to give me a book contract for the larger book, above, is titled, Dream Pillows and Love Potions ($4.95) and is just a brief glimpse of what's in the larger book. Over the years I've been writing about Dream Pillows, I've seen others become intrigued by the idea and give classes or write about the subject. But 30 years ago, very few knew anything about the subject (even though dream pillows and sleep pillows have a long history in Europe in the 1600s where they were used in sick rooms and baby's cribs to aid in sleep). I offer a variety of Dream Pillow Kits for people to make their own (the Pleasant Dreams, Restful Sleep and Romantic Dreams, above, are all ready-made pillows 5 x 5 inches, ready to be put in the pillow case). I offer a special Speaker's Kit for 25, which is great for people when they want to present a program for their class, Scouts or herb club. I also a Kit for 50 (meaning it makes 50 little dream pillows) that some of our customers buy and take to nursing homes for activities. I also have a Kit for 8, which is fun for adults and kids, alike. Click here for details on all of those. Speaker's Kit for 25 is great for programs. This week we're running a special for a special Valentine for either a woman or a man. 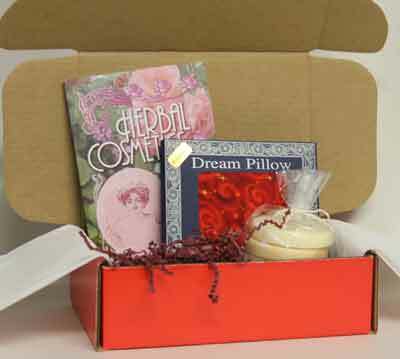 Each Valentine includes a Dream Pillow, special hand-made soap and a book. We'll send it to anyone you'd like to send a Valentine to, dressed up and looking festive for Valentine's Day. To order any of our Dream Pillows or Valentine's Day Specials, click here. If you'd like to read more stories about Dream Pillows and the effects they've had on our customers over the years, visit my Dream Pillows blog and look through the archives of previous posts. Pleasant Dreams!